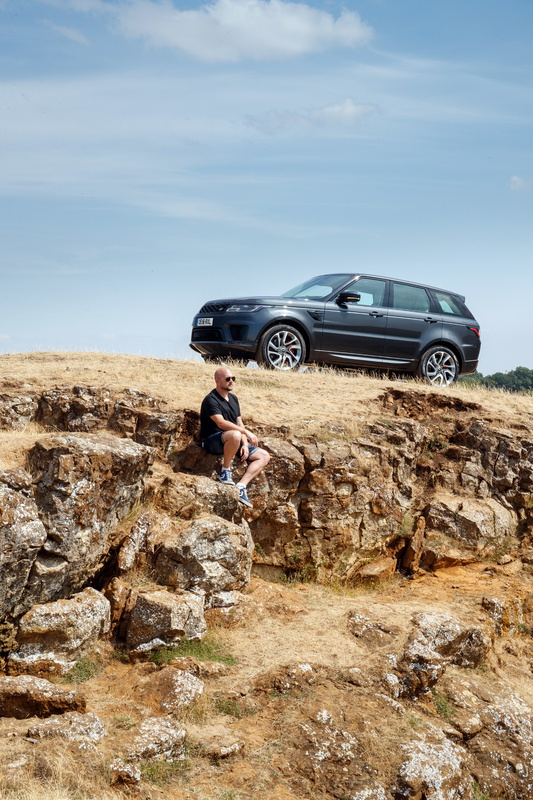 The plug-in hybrid electric vehicle (PHEV) seems to be all the rage, so to make sure it’s not missing out on this shift towards ‘greener’ motoring, Land Rover has got in on the act. It’s had to really, as the brand is revered by many and, as a result, it is perhaps expected to lead by example. As well as the launch of Range Rover model plug-ins, the British marque has ushered in the 2018 Range Rover Sport PHEV. Like its larger sibling, the Sport has a P400e badge stuck on it. The letters and numbers represent the blend of electric and petrol propulsion, and the clout on offer, which is just over 400 PS. Power is produced from a 300 PS 2.0-litre four-cylinder powerplant and an electric motor producing 85kW. 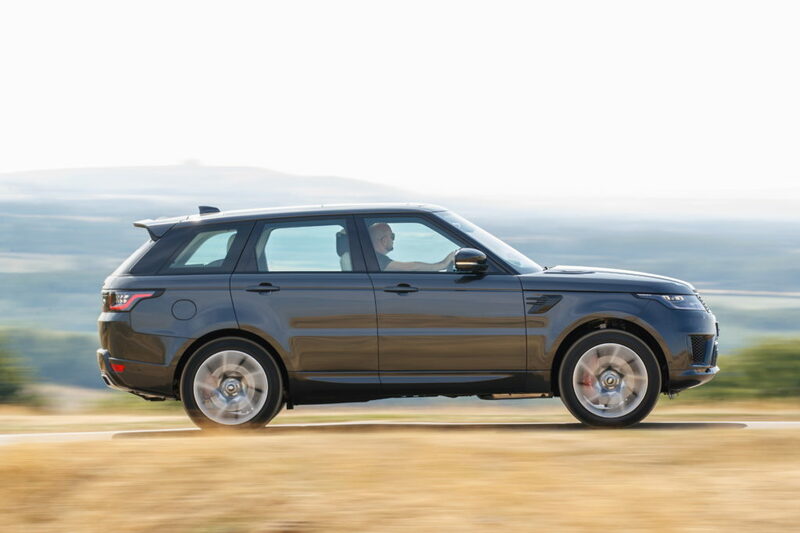 The electric shot in the arm means the Range Rover Sport PHEV is capable of a claimed 101mpg. But even more significant is the CO2 figure of 64g/km and the savings that brings for company car users. Behind the wheel, the Sport is sprightly and hushed around town on pure electric power. You can squeeze up to 31 miles out of the SUV before the electric charge runs out. But it only takes 2 hours 45 minutes to refill the battery cells with a fast charger. If you haven’t got access to one of those, then it takes almost a day’s work in the office (seven and a half hours) to replenish with a 10-amp standard charger. Still, that’s okay if you don’t live far from work, and you’re determined to drive in electric-only mode. Plug in at 9 am, and by 4.30pm your car will be ready to rock again. Alas, the added bulk of the plug-in unit means the combustion engine needs to work hard – and it’s not the most polished powerplant. Therefore, when you put the pedal to the metal, the cry of the engine seems out of place with the opulent environment of the vehicle. Mind you, considering the Range Rover P400e Sport is a big SUV, it still manages to offer a decent mix of dexterity and ride comfort. The six-speed auto ‘box is slick, and the 4×4 system makes light work of non-blacktopped terrain. Looks-wise, the 2018 model year Sport is softer on the outside, and Land Rover has given it some fetching LED headlights. Inside, the car is roomy and attractive with a new, intuitive, double-screen infotainment system. What’s more, if you like playing with gadgets, you’ll spend ages waving your hand backwards and forwards to operate the panoramic roof’s sunblind automatically. You may be better off leasing a Range Rover Sport because, compared with the rest of the line-up, the 2018 Range Rover Sport PHEV costs more than a diesel-powered 3.0-litre V6. That’s fine if you use the electric mode around town a lot, and if you want to save tax. However, if you munch motorway miles regularly, then you may still be better off leasing or buying the oil-burner.